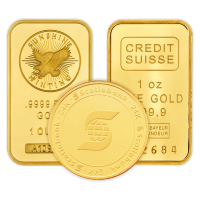 Buy this spectacular 1/4 oz pure gold coin from the Royal Mint at the best price online. 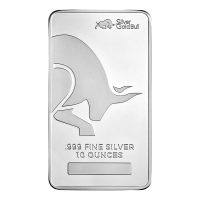 This is the third weight released in the Queen's Beasts series. 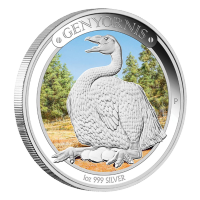 This coin features highly detailed engraving and is very popular with both investors and collectors. Queen Elizabeth II's coronation in 1953 was watched over by 10 heraldic beasts, re-imagined here as the first in a series of 10 designs. The Queen's Beasts were created to represent the various branches of royal genealogy over the centuries. The lion first appeared around 1189 on the royal seal of King Richard I, later known as King Richard the Lionheart. Unusually, both sides of this coin were executed by Jody Clark, an engraver at the Royal Mint. 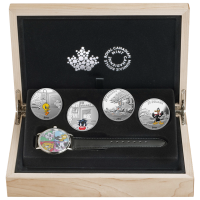 This series of gold coins is sure to become very collectible, order yours today! 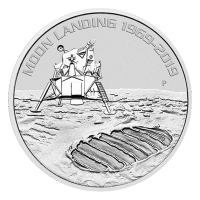 In multiples of 25 this coin will ship in an original mint tube. 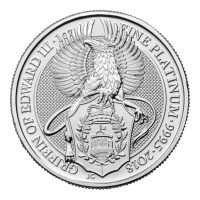 Obverse Effigy of Queen Elizabeth II and the words "Elizabeth II D.G. Regina Reg Fid 25 Pounds"
Reverse Stylized image of the Lion of England holding the shield of the Royal Family and the words "Lion of England 1/4 oz Fine Gold 9999 2016"
Effigy of Queen Elizabeth II and the words "Elizabeth II D.G. 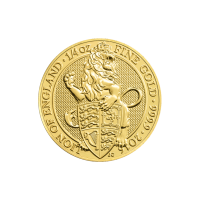 Regina Reg Fid 25 Pounds"
Stylized image of the Lion of England holding the shield of the Royal Family and the words "Lion of England 1/4 oz Fine Gold 9999 2016"
1/4 oz 2016 Royal Mint Queen's Beasts | Lion of England Gold Coin Buy this spectacular 1/4 oz pure gold coin from the Royal Mint at the best price online. This is the third weight released in the Queen's Beasts series. This coin features highly detailed engraving and is very popular with both investors and collectors. Queen Elizabeth II's coronation in 1953 was watched over by 10 heraldic beasts, re-imagined here as the first in a series of 10 designs. The Queen's Beasts were created to represent the various branches of royal genealogy over the centuries. The lion first appeared around 1189 on the royal seal of King Richard I, later known as King Richard the Lionheart. Unusually, both sides of this coin were executed by Jody Clark, an engraver at the Royal Mint. 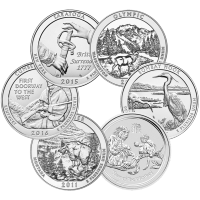 This series of gold coins is sure to become very collectible, order yours today!